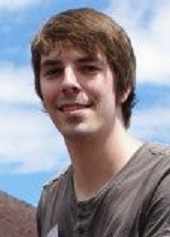 Meet World Campus – Japan 2013 Program Counselor, Daniel van Delft! My name is Daniel van Delft, but you may call me Dan. I come from a small village in the south of the Netherlands, famous for it’s high quality and delicious beer. When I was deemed old and wise enough to attend university, I traded my peaceful village for the lively city of Leiden, in the west of the Netherlands. This is where I started studying Japanese. And now, I’m in my third year of university and getting ready to be a program counselor for World Campus – Japan (WCJ) this summer! Up until two months before my graduation from highschool, I always wanted to become a physicist or a chemist, but math wasn’t exactly my strongest point and I realised I should probably strive for something more realistic. I had this minor interest in Japan, which started to become more prominent after talking to some friends, who showed me the country’s pop-culture. So even though I was never particularly good at learning languages, I (quite impulsively) decided to give “Japanstudies” a try. Boy, did I make the right choice! Like I said before, I’m in my third year now and I’m having a blast! I like Japan’s pop-culture, but I’m also drawn to it’s old traditions. During my freshman year I have also grown to love the Japanese language. I’m very interested in kanji in particular, because they are what makes Japanese so different from any Western language. Another aspect of Japan that I appreciate a lot, is something that I experienced with WCJ, namely the Japanese people. The host families, but also the people that I met on the street by chance were so hospitable and eager to help out a weird foreigner like myself. Also, their mentality in dealing with others and their sense of community is something that, I think, many people in my country would benefit from, if they took it as an example. As a rather shy freshman, I decided to go to a WCJ presentation and I got interested pretty much right away. I acted on this interest and that summer I went to Japan for the first time. I guess one can imagine that I was quite happy being in the country that I had been studying for a year and that amazed me to no ends. But this happiness and what was supposed to be a great experience turned out to be even better. The things that I have done, seen, tasted, heard, smelled and felt during those 2 months were indescribable. Due to a series of events, the group that I was traveling with at the time got so close, it was like being in a family. This also made all the activities that we were involved in together even more memorable. Besides all the frst hand experiences, I also learned a lot about myself during the program. This might sound strange, but I got a lot more confident by just traveling with WCJ. I suppose this was because as a participant I really had to step out of the infamous “comfort zone”, by staying with strange people, eating strange things and performing in front of an audience. Also in this perspective, WCJ is a great program, so depending on how much you’re willing to try things and “Go for it!”, you’ll be able to get much more out of your Japan experience than just an (already) awesome tour. I haven’t discussed the individual activities, the amazing Japanese people or the satisfaction of the arigatou event, yet, but I’ll leave that for you to experience yourself. Besides, this post would take hours to read if I were to write it all down. You’re always welcome to talk to me personally though! Anyway, because of the incredible impact WCJ had on me, I decided to go to Japan again with said program. However this time I went as a program counselor and, again, the time I spent in Japan was something I will never forget. And well, here I am again! I’m ready to create another amazing summer with every one of you! As a counselor my goal is to be someone you can depend on, so if there’s anything you need, you’re welcome to ask me. I also like to think I’m a good listener, so if you just feel like talking to someone I’d like to be there for you. Don’t hesitate to approach me! I can’t wait to meet you all and I hope you’re as psyched as I am about our upcoming adventures! Previous PostMeet World Campus – Japan 2013 Program Counselor, Ola Johannessen!Next PostMeet World Campus – Japan 2013 Program Counselor, Nina Møller!